Here in our home the Twins making up Tangarine are fondly called "Pluizenbol en Pluizenbol", to be translated as "Curly and Curly", ever since we saw the duo perform as support for Tim Knol somewhere at the beginning of this decade. Several albums sw the light of day since then, but somehow they didn't really agree with yours truly. 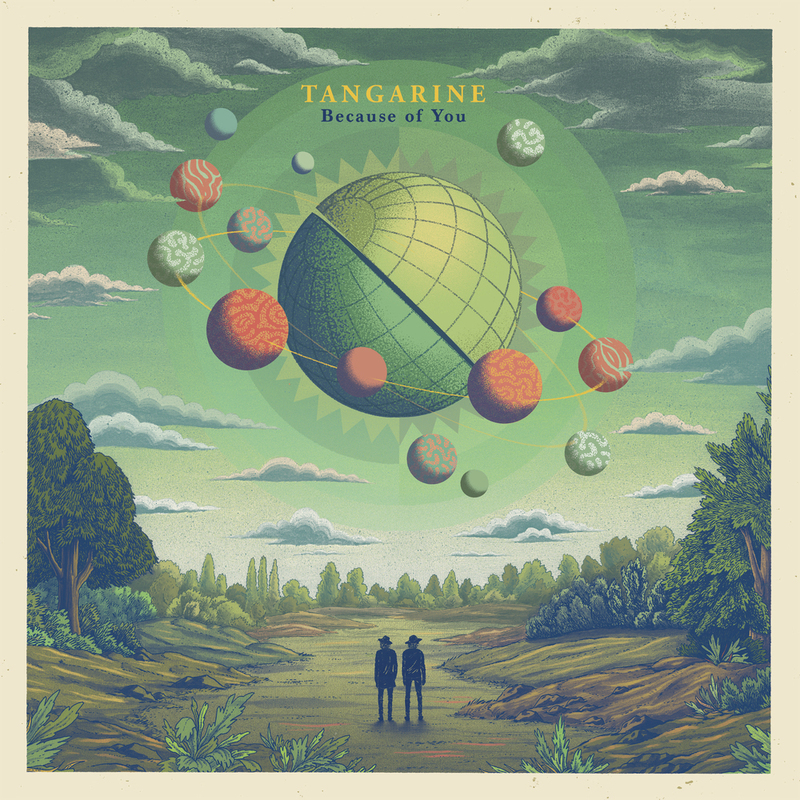 And here I'm writing on Because Of You, Tangarine's latest album. Arnout and Sander Brinks are identical twins with all that comes with that. I remember seeing them play so naturally together as if they were one. The one fully supporting the other, totally complementary to each other. In such a way that I would not have been surprised to see them melt together in a literal sense (and back). The story about 'Because Of You' is that they have separated as individuals, each writing his own songs and lyrics. The result is a much harder album than I've ever imagined hearing from Tangarine. It is probably because of this reason I am writing on the album. The Brinks brothers sing lower. The result is a far less one dimensional band. The music is varied and truly interesting. The album was recorded in the southern desert of the U.S. at the Calexico studio. Joey Burns plays bass on most tracks. 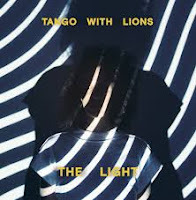 The other musicians are the touring band members of Tangarine. Calexico, at least what I associate with that band, is around the corner in 'Nobody Wants To Be The One'. A high sounding Mexican trumpet meanders through the song. 'Ribbons' is a soft, bare song. The desert sound here is hidden in a soft percussive sound mixed into one of the corners of the song, as if a horse is galloping at full speed. Totally at odds with the rest of the song. Dark and brooding it slowly goes about its way. A bit of darkness on a record that certainly is not a beacon of light. The influences range much further though. There's a dash of 70s singer-songwriters here, a slight smattering of psychedelia, but also an element of rock there. All is woven into the different songs. A few songs into Because Of You I notice the mood of the album getting a hold on me. I feel more tired than I did circa 20 minutes ago and a bit glum to boot. "There's no need to worry", is the message I'm presented, so it must be o.k. after all. The use of a pedal steel guitar gives the sound something melancholy as well. "I will be the pain of yesterday", the brothers sing in 'Echoes', a song that takes the tempo even further down. The kind of song that begs listening to. Strings move in, making the song even more laden. An electric guitar starts crying out. The pain obviously is real here. The acoustic sequence seems illogical compared to what came before, but broken hearts are for real. 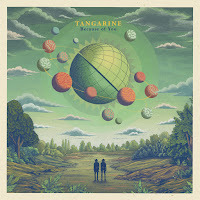 Because Of You may be a much darker album than Tangarine has released before, it also is the album with the most depth. At point of writing, I'll admit, I still have to decide whether I think this is a good album. It can still go both ways. What I do notice that Because Of You holds elements that will work in its favour. There is an undercooled passion throughout the album, just under the surface of the Brinks' singing. A passion in the instrumental sequences, showing the "pain and sorrow" they sing about regularly. Pain is the theme here. Musically there is more than enough to discover as well. As I said this album is far from one dimensional. 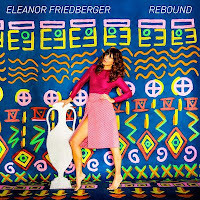 Eleanor Friedberger dook 15 jaar geleden voor het eerst op met het debuut van The Fiery Furnaces. Het duo dat ze samen met haar broer Matthew vormde debuteerde met het uitstekende Gallowsbird’s Bark, dat een bijzondere mix van stijlen liet horen. 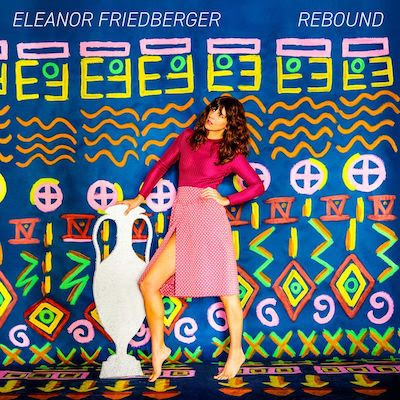 Al met al een zeer waardevolle aanvulling op het prachtige oeuvre dat Eleanor Friedberger aan het opbouwen is en een plaat die de komende maanden hier heel wat mooie dagen zal opluisteren. Buckley? That name is forever joined to Jeff. An angel descended on earth to leave us one sublime album before he returned to his rightful place. Not unlike the angel in A.N. Ryst's fantastic novel 'De Harpij'. So Buckley comes with a legacy. 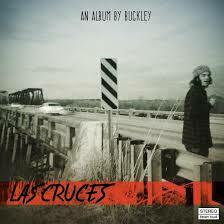 I am pleasantly surprised to hear the opening notes of 'Bakersfield', the first song on Las Cruces. As if Slobberbone has reincarnated in the late 10s. It is a portion of fantastic rock in the country variety that I am served. In the guitar there is this element of melancholy sadness, reflected in the lyrics: "In Bakersfield I let you down". The consequences are dear listening to the song. A Neil Young like solo guitar comes by as icing on the cake. 'Bakersfield' is a dream of an opening song for an album like Las Cruces. Simply one of the best songs I've heard in this genre since the demise of Slobberbone over a decade ago. Buckley is a singer-songwriter living in Austin, Tx., where he landed after working in a band called Guilded Splinters. Over the years he has acquired the skills to excel in several rock and alt-country genres and carry them home. In his music a lot of influences from the 70s can be heard. The already mentioned Neil Young (and Crazy Horse) of course but a band like Eagles is certainly not far away. More contemporary Ryan Adams certainly rings true, but then he dipped his creativity in the same historic wells. At the end of the alphabet there's ZZ Top ('Three Chiefs'). How good Buckley is shines through in the third song on the album. 'Devil Slide' is a slow song with a standard chord progression. The way it is played out makes me listen to every note coming by. The crashing of cymbals filling in the background provides the song with a load of tension adding to the feel of the song in no small way. Like Timothy Showalter of Strands of Oaks Buckley knows his Neil Young. Both can come close to the old meister. Buckley is more consistent in his approach and writes the better songs in my opinion. Is more varied as well. Strand of Oaks has already made a name for itself. Something Buckley still has to do in this country. With Las Cruces he has to be able to find the people that appreciate his music. 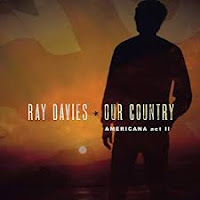 The songs Buckley presents are varied, have quality and are played at a consistently high level. The true quality shines through in the final song 'Perfect Storm'. Slow, full of emotions and feeling. The contrast with 'Bakersfield' is huge, but there is a common denominator. Buckley captures his experiences and the emotions they conjure up in perfect musical ways. 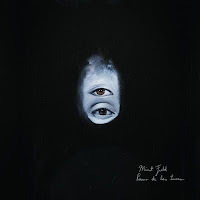 Mint Field is een duo uit het Mexicaanse Tijuana en bestaat uit Estrella Sanchez en Amor Amezcua. De eerste speelt gitaar en zingt, de tweede drumt en bespeelt de synths. Estrella Sanchez en Amor Amezcua zijn allebei pas 21 jaar oud, maar desondanks speelt het tweetal al vier jaar samen. Met hun muziek trokken ze de aandacht van een Amerikaanse producer, waarna in Detroit het debuut van Mint Field werd opgenomen. Bij Mexico denk ik aan van alles en nog wat, maar niet direct aan de muziek die de twee jonge Mexicaanse muzikanten maken op Pasar De Las Luces. Op het debuut van Mint Field domineren invloeden uit de dreampop, maar zijn ook invloeden uit de shoegaze, slowcore, psychedelica, noiserock en Krautrock horen. Het is muziek die ik zoals gezegd niet direct associeer met het Mexicaanse Tijuana, maar na beluistering van het debuut van Mint Field weet ik dat Estrella Sanchez en Amor Amezcua in deze genres niet alleen uitstekend uit de voeten kunnen, maar ook nog eens iets toevoegen aan alles wat er al is. Uit de dreampop heeft het Mexicaanse tweetal de onderkoelde en melodieuze gitaarlijnen geleend en ook de heerlijk dromerige zang is ontleend aan het genre dat in de jaren 90 tot bloei kwam. Vergeleken met de meeste andere bands in het genre houdt Mint Field het tempo nog net wat lager, waardoor de muziek van het tweetal ook raakvlakken heeft met de slowcore. Ook in vocaal opzicht durft Mint Field zich buiten de gebaande paden te begeven en kiest het niet alleen voor Spaanstalige teksten, maar ook voor nog net wat ijlere zang dan gebruikelijk. Het levert vocalen op die herinneringen oproepen aan de wijze waarop Julee Cruise aan het begin van de jaren 90 het eerste seizoen van Twin Peaks voorzag van een ijzige sfeer. Door het net wat lagere tempo en de ijle vocalen is Mint Field al niet de zoveelste band die op makkelijke wijze met de erfenis van de dreampop aan de haal gaat, maar Estrella Sanchez en Amor Amezcua hebben nog meer bijzonders te bieden. Zeker in de wat langere tracks benevelt Mint Field je met herhalende gitaarpatronen die niet alleen doen denken aan de slowcore en de noiserock, maar hier en daar ook ontleend lijken aan de smaakmakers uit de Krautrock. Het is knap hoe twee jonge muzikanten zoveel invloeden verwerken in hun muziek en het is nog knapper wanneer je je bedenkt dat het gaat om jonge muzikanten die waarschijnlijk zijn opgegroeid in een hele andere scene (waarmee ik de muziekscene van Tijuana mogelijk enorm tekort doe). Het is hier bovenop nog eens fascinerend met hoeveel gevoel de twee Mexicaanse muzikanten muziek maken. Hier en daar worden gitaarmuren opgebouwd, maar meestal is de muziek van Mint Field verrassend subtiel en gevoelig. Het geeft de plaat een hele bijzondere sfeer, die je meevoert naar sprookjeswerelden met meestal een wat duister karakter. Zeker wanneer je wordt gegrepen door de bijzondere klanken op Pasar De Las Luces, en die kans is behoorlijk groot, stijgt het debuut van Mint Field al snel naar grote hoogten. 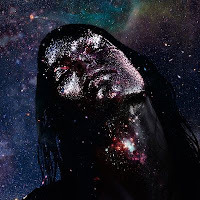 Natuurlijk ben ik een liefhebber van dreampop en aanliggende genres, maar de benevelende werking van de muziek van Estrella Sanchez en Amor Amezcua is zo groot dat veel meer muziekliefhebbers aan de zegekar van de Mexicaanse meiden moeten kunnen worden gebonden. Het levert een werkelijk wonderschone plaat vol avontuur en betovering op. Een diepe buiging is op zijn plaats. During my holidays "the Queen of Soul" died after having been terminally ill for some time. Glancing into an Italian news paper, mainly to find out what had happened in Bologna and how that could effect our return journey I noticed a photo of Aretha. With the few words we could determine, being non-speakers, we saw that she was dying. It reminded me of the Freddie Mercury announcement in 1991. We were sitting in a temporary bar on a square right outside the medieval city centre of Calderola. The bar, were people were drinking all sorts of alcoholic beverages around noon time, used to be in the city centre. No more. The whole centre was a ghost town. Deserted since the earthquake of 2016. Despite the fact that the buildings in Calderola were looking more than o.k., certainly compared to what we had seen on the west side of the Monti Sibilini mountains, the conclusion had to be that it is most likely this part of Italy will never recover in the way it used to be. I had never experienced devastation on this scale before and was basically shocked. Especially as we had no idea beforehand, winding up in the Sibilini more or less at the spur of the moment. Where shall we go next?, is a question answered on the evening before packing things up. In the final days of our holiday I noticed that I heard Aretha songs here and there. Coming home I saw a two day old newspaper with her photo all over the front page. Apparently the news had opened with her demise. Was she that big? Clearly, but also a bit surprising. Aretha Franklin never scored so many hits here. What was Aretha Franklin to me? Foremost, a singer who scored her hits just before I consciously knew what hits were. 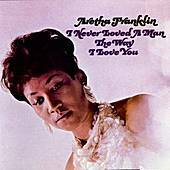 There were songs and Aretha's were not a part of my childhood universe of U.S. and U.K. popsongs that came by in the background of my early youth. It is over the years that I got to know her biggest hits, without being able to point to a specific occasion. Soul was not my territory any way and still is not really. It also wasn't of the people who exposed me to pop music in the 60s. Soul became a more or less an acquired taste later on in life. Thinking about it now, I notice that acts like The Supremes and The Four Tops must have been so much more popular, as I do know most of their songs much longer. So Radio Veronica, my pirate station at the time, must have played their music a lot more. So what do I have in my record collection? A greatest hits double cd bought somewhere around 2000, I guess and a live album that was played in a record store I entered and bought immediately. Only to play it two or three times since. Her career mostly was stagnant for decades. In the 80s of course she scored a few big hits, but in the slipstream of then popular artists. The Eurythmics, George Michael, Keith Richards provided her new hits, even her only #1 hit in The Netherlands with 'I Knew You Were Waiting (For Me)'. Looking at Aretha Franklin as a chart presence, it is one song that really sticks out, the soft spoken, modest and fiery 'I Say A Little Prayer'. This is her only really big solo hit in this country. After 1971, 'Spanish Harlem', her career as a hit singer was over until the aforementioned mid 80s. Aretha became a staple solo name for a new generation in the 1980s because of two single events. Her role in 'The Blues Brothers' where she sang 'Respect' once more and a tv commercial for 'Chocomel' were a young girl mimed 'Think'. This fairly unknown 1968 hit became a dance party staple for years after that commercial. The song is so strong. It perks me up every time I hear it. Impossible to sit still. Whatever else Aretha may or may not have been in the mid 60s, she is not to me. I have no recollections to share of Martin Luther King. It all passed me by as I was too young. To me Aretha Franklin is a great voice, with some songs I like and a few I truly like, in a genre which is not mine. Like with Otis Redding, dead for over 50 years now and other soul stars of the 60s. So yes, Taking it all in, I am a bit surprised how huge she apparently is perceived to be. Dat smaakte absoluut naar meer en dat meer is er nu, al is de release van het debuutalbum van de muzikante uit Los Angeles opvallend geruisloos aan Nederland voorbij gegaan. 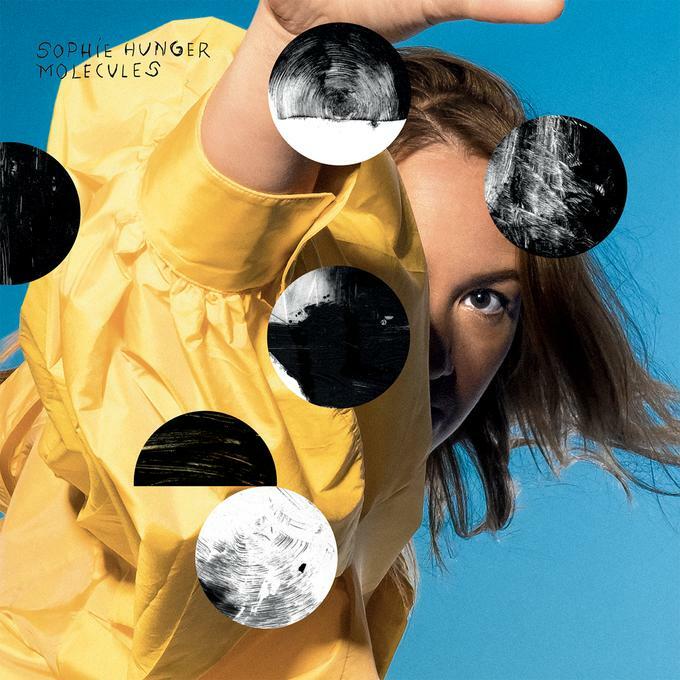 In de Britse muziekpers werd Sleepless Dreamer echter nog de leukste countrypop plaat van het moment genoemd en daar sta ik altijd voor open, waarbij het me niet zoveel uitmaakt of het een plaat is om te koesteren of slechts een guilty pleasure. Sleepless Dreamer klinkt zo aangenaam en tijdloos dat ik de plaat de afgelopen dagen vooral als feelgood-plaat uit de speakers heb laten komen. 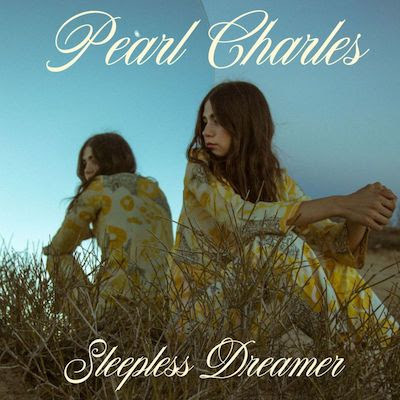 Pearl Charles verjaagt met haar zonnige Westcoast popliedjes immers iedere donkere wolk (je zou bijna vergeten dat ze er een paar dagen geleden nog waren) en onthaalt keer op keer de zon. Je zou hierdoor bijna vergeten om goed te luisteren naar haar debuut, maar dat valt zeker aan te bevelen. Sleepless Dreamer is immers een plaat waarop alles klopt en die veel beter is dan de gemiddelde popplaat, of countrypop plaat van het moment. En het debuut van Pearl Charles wordt eigenlijk alleen maar lekkerder en beter, waardoor het absoluut meer is dan de guilty pleasure die ik in eerste instantie omarmde. With by far the most of the albums released by Snowstar Records it was love a first hearing or at a minimum a fair dose of becoming intrigued. When I heard the 7" release of the label's latest signing it was all but that. A fair dose of distaste is a better description of the feelings I underwent listening to the three songs. I had heard this all before and so much better, so why bother? It surprised me as the ears of Cedric and his team for sure have been screwed on right. A bit to my surprise I encountered one of the songs in the July edition of 'Kairos' on Concertzender and somehow, perhaps having been brought into the mood for 'Baby' by the more esoteric choices of .No that preceded the song, things fell into place it seems. The result? 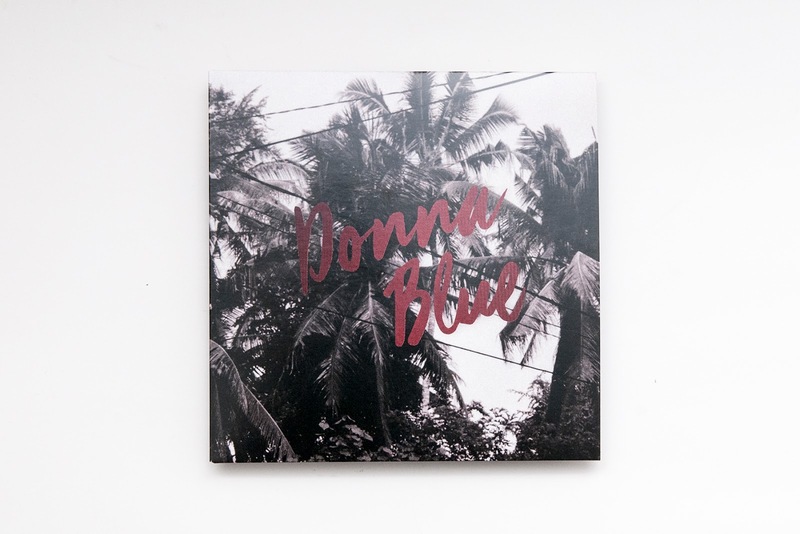 A review on Donna Blue's 7" of course. Donna Blue is Danique van Kesteren and Bart van Dalen. Partners in life and music. So far the duo released three singles now all combined on one 7" single. When I was young this was called a "Maxi Single", a vehicle for bands to combine three hits of the past and score a hit all over again. There are no hits on 'Donna Blue' in the classic sense of scoring in the charts, each song should have though. If anything Donna Blue plays songs at the most elementary level possible. Carol Cleveland Sings is a band/duo that is on the exact the same level (read on here: http://wonomagazine.blogspot.com/2016/11/effervescent-lure-carol-cleveland-sings.html). Two voices, electronic sounds and rhythms, a little keyboards and a guitar. The rest is atmosphere and a huge desire for music past. Where the excitement is in, is in the way that desire is packed up in modern sounds (although this sound may come from old synthesizers). The Ronettes or The Shangri-Las are all over the place with bleeps and plops unimaginable in their day and age. The outcome, desire and hurt are exactly the same. A yearning for things missing and beyond missing: unobtainable or beyond reach, life even. It is not just 60s I am thinking of. Female French pop singers (the sigh girls) of old and now come to mind as well. For example, the half-sisters Charlotte Gainsbourg and Lou Doillon could sing each of these songs. They both can reach these sort of depths in their music. 'Baby' has written 'To Know Him Is To Love Him' all over itself, coupled to a coldness that is astonishing. No butterflies in bellies here. A clinical observation is what describes 'Baby' best. A love devoid of all emotions. Like a scalpel cutting a clean wound. A love that can make hell freeze over. Here is exactly why I had so much difficulties with the song at first and now have totally fallen for it. The song is a musical paradox between lyrics and all the rest. Hearing is believing, folks! 'Baby' may be the prize song of this single, the other two songs, 'Holiday' and 'Sunset Boulevard' are not far behind in this race. Both have a distinct feel to them, setting them apart from a lot of music I have been hearing so far in my life. Full of little hooks that sound overly familiar where I get caught in, coupled to sharp pikes driving me away, while being hooked and reeled in. The only thing I hope for Donna Blue is that when the band plays live, people come to listen. Otherwise the band will be blown off the stage by the talkative audiences I unfortunately encounter in the country. The delicacy of this duo is enormous. Vulnerable music is an understatement. It is already broken in a certain sense. Time to check the band out during the Popronde for sure. In the rerun Donna Blue has impressed me. Snowstar Records was right once again. It only took me about two months to realise it. Het had Earl Grey een plekje op moeten leveren in de hoogste regionen, maar daarvoor is het helaas te laat, wat het vluchtige karakter van jaarlijstjes nog maar eens onderstreept. 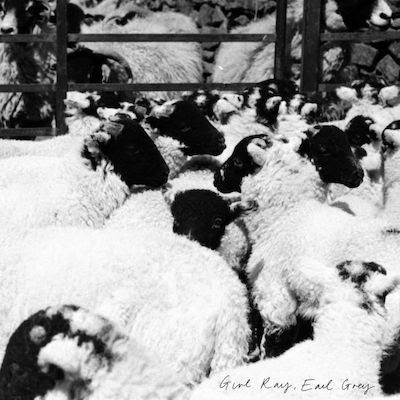 Het doet gelukkig niets af aan de torenhoge kwaliteit van Earl Grey van Girl Ray, dat wat mij betreft behoort tot de meest bijzondere platen van 2017. De Nederlandse band Ilen Mer leverde aan het begin van 2015 met The Things That Sleep In The Woods een bijzonder indrukwekkend debuut af. Op haar debuut combineerde Ilen Mer invloeden uit de Britse folk uit de jaren 70 met invloeden uit de hedendaagse indie-pop en een vleugje Kate Bush. The Things That Sleep In The Woods liet zich hierdoor niet makkelijk in een hokje duwen, wat knap is voor een debuut, en stond ook nog eens bol van de potentie en de belofte. Ik was daarom heel benieuwd naar de tweede plaat van de Nederlandse band en die is nu dan eindelijk verschenen. Öar werd in de zomer van 2016 opgenomen in Zweden, waar Ilen Mer zich ‘in the middle of nowhere had’ opgesloten in een huisje in de eindeloze bossen van het Scandinavische land. De band heeft Öar vervolgens nog een hele tijd voor zichzelf gehouden, maar trekt nu met haar nieuwe plaat de wijde wereld in. Dat hoop ik tenminste, want Öar is een ontzettend sterke plaat, die geen moment onder doet voor alles dat in het buitenland wordt bejubeld op het moment. Ook op haar tweede plaat combineert Ilen Mer invloeden uit de Britse folk van weleer met invloeden uit de hedendaagse indie-pop, maar vergeleken met het debuut laat de band een enorme groei horen. Wat direct opvalt bij beluistering van Öar is de enorme rust die de plaat uitstraalt. Ilen Mer heeft de weidsheid en de stilte van de Zweedse bossen gevangen in haar muziek en heeft de schoonheid van de uitgestrekte Zweedse natuur direct maar meegepikt. Het maakt van de beluistering van Öar een even rustgevende als spannende luistertrip. Ilen Mer sloeg op haar debuut al een brug tussen verleden en heden, maar doet dat dit keer niet alleen veelvuldiger, maar ook op veel knappere wijze. De organische klanken uit het verleden vloeien prachtig samen met de elektronica uit het heden en ook qua invloeden smeedt Ilen Mer op bijzondere wijze van alles aan elkaar. De Nederlandse band houdt het tempo op haar tweede plaat vooral laag en heeft haar songs voorzien van heel veel ruimte. In deze ruimte worden details bijzonder fraai uitgewerkt, waarbij vooral de gitaren en de keyboards op weten te vallen met wonderschone versiersels, maar Ilen Mer is ook niet bang om ruimte leeg te laten. Ook Öar verwerkt nadrukkelijk invloeden uit de folk zoals die in de jaren 70 in Engeland werd gemaakt, maar de band staat ook met minstens één been in het heden en maakt muziek die durft te vernieuwen. Het zorgt voor bijzondere contrasten, zeker wanneer de band ook nog eens (onbewust?) flirt met invloeden uit de progrock en op hetzelfde moment strooit met moderne gitaarloopjes en ritmes. The Things That Sleep In The Woods maakte al weer ruim drie jaar geleden vooral indruk op mij met de vocalen, maar Öar is ook in muzikaal opzicht een hele bijzondere plaat. Ilen Mer creëert op haar tweede plaat een bijzondere sfeer en het is een sfeer die predicaten als sprookjesachtig en benevelend verdient. Ook met de zang is dit keer overigens helemaal niets mis. Frontvrouw Merit Visser kan prachtig ingetogen zingen, maar staat ook op Öar weer garant voor expressieve vocalen vol lading en emotie. Het voorziet de zo mooi gearrangeerde songs van Ilen Mer van nog net wat meer diepgang en urgentie en tilt Öar naar een nog wat hoger plan. De groei van Ilen Mer blijft overigens niet beperkt tot de instrumentatie en de zang. Ook de songs op de plaat zijn van een bijzonder hoog niveau en weten steeds weer te verrassen en te imponeren, waardoor Öar na de eerste beluistering begint aan een duizelingwekkende groei, waarvan het einde voor mij nog steeds niet in zicht is. Is er dan helemaal niets mis met deze prachtplaat? Ja, na 30 minuten zit Öar er al weer op, waarna de betoverde luisteraar alleen maar kan smachten naar veel en veel meer Ilen Mer. Ik zet Öar daarom nog maar eens op en ben weer net wat meer onder de indruk. Jaarlijstjesplaat. Punt. De tweelingzussen Naomi en Lisa-Kainde Díaz maakten ongeveer drie jaar geleden diepe indruk met het titelloze debuut van Ibeyi. De in Parijs opgegroeide zussen combineerden op deze plaat op hele bijzondere wijze invloeden uit de hedendaagse popmuziek met invloeden uit de traditionele West-Afrikaanse Yorùbá cultuur, die ze via hun Cubaanse vader (die ooit in de legendarische bezetting van Buena Vista Social Club speelde) met de paplepel kregen ingegoten tijdens hun jeugd. 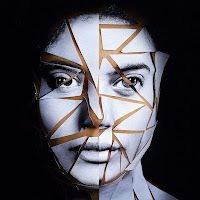 Het debuut van Ibeyi stond hierdoor met één been in de hedendaagse elektronische popmuziek en R&B, maar klonk door alle exotische invloeden en het gebruik van meerdere talen totaal anders. Het is een omschrijving die ook op gaat voor de muziek op de tweede plaat van Ibeyi, maar Naomi en Lisa-Kainde Díaz hebben zich er zeker niet makkelijk van af gemaakt. Ash is vergeleken met zijn voorganger misschien net wat toegankelijker, maar schijn bedriegt. De plaat bevat een serie lekker in het gehoor liggende popliedjes, maar het zijn nog altijd popliedjes vol verrassing en avontuur. Door het succes van de eerste plaat van Ibeyi hadden de Parijse zussen dit keer de beschikking over een wat rianter budget en was het bovendien haalbaar om wat gasten van naam en faam uit te nodigen. Topmuzikanten als Meshell Ndegeocello en Kamasi Washington zorgen voor mooie momenten, terwijl producer Richard Russell Ash heeft voorzien van een warm en vol klinkend geluid. De onbetwiste sterren op de plaat zijn echter ook dit keer Naomi en Lisa-Kainde Díaz. De zussen voorzien alle songs op de plaat van soulvolle en prachtig bij elkaar kleurende stemmen, die niet bang zijn om buiten de lijntjes te kleuren maar zich nergens te buiten gaan aan overdaad. Samples van Le Mystère des Voix Bulgares en Michelle Obama, wiens legendarische speech over vrouwenrechten wordt ingezet als basis van een song, voorzien de plaat van nog wat extra vocaal vuurwerk. Ook in muzikaal opzicht gebeurt er van alles op de tweede plaat van Ibeyi. Waar de vorige plaat op knappe wijze bijna tegenstrijdige invloeden wist te combineren, zijn deze invloeden op Ash volledig samengesmolten tot een uniek eigen geluid. Het zijn deels dezelfde invloeden als op het debuut van Ibeyi, maar Naomi en Lisa-Kainde Díaz hebben hun blik ook verruimd. Ash bevat vergeleken met het debuut van Ibeyi veel meer invloeden uit de hiphop, maar biedt ook ruimte aan invloeden uit de jazz en de ambient en ook deze kleuren mooi bij de invloeden uit de wereldmuziek die ook dit keer een belangrijke rol spelen. Een aantal songs wordt gedomineerd door diepe en stevig aangezette hiphop beats, maar Ash bevat ook een aantal songs waarin het tempo uiterst laag ligt en de prachtige stemmen van de Frans-Cubaanse zussen alleen maar worden gecombineerd met ambient achtige klanken. Met al dit moois zijn we er nog niet, want Naomi en Lisa-Kainde Díaz hebben ook nog eens wat te zeggen. De twee komen op hun tweede plaat strijdlustig op voor gelijke rechten voor iedereen en stellen discriminatie vanwege ras of geslacht stevig aan de kaak. Het geeft de toch al zo overtuigende plaat nog wat extra zeggingskracht. Omdat Ash ook nog eens bij iedere luisterbeurt mooier en bijzonderder wordt, sluit ik niet uit dat Ash zich, net als zijn voorganger gaat scharen onder de beste platen van het jaar. Ga dat horen dus. Ik heb in 2016 echt heel vaak geprobeerd met het stevig bejubelde Ears, maar de tweede plaat van de Amerikaanse muzikante Kaitlyn Aurelia Smith kreeg me maar niet te pakken. De elektronische muziek vol invloeden uit de ambient kabbelde weliswaar aangenaam voort, maar ging bij mij het ene oor in en het andere oor weer uit. Misschien waren de lente en de zomer niet de juiste jaargetijden voor de muziek van de muzikante uit California, want het deze week verschenen The Kid had me wel direct bij eerste beluistering te pakken. The Kid wijkt niet heel erg af van zijn zo geprezen voorganger. Kaitlyn Aurelia Smith maakt ook op haar nieuwe plaat weer zweverige muziek die bestaat uit flarden fluisterzachte zang, subtiele orkestraties, natuurgeluiden en vooral een enorme bak elektronica. Het is muziek vol invloeden uit de ambient, New Wage en Oosterse mystiek, maar The Kid is zeker niet de zoveelste New Age plaat die verlichting moet brengen in deze gejaagde tijden met nieuwsstromen vol ellende. The Kid is zeker geschikt voor wegdromen, maar eist ook nadrukkelijk de aandacht op met muziek vol bijzondere details. Liefhebbers van popliedjes met een kop en een staart zijn bij Kaitlyn Aurelia Smith aan het verkeerde adres. The Kid staat vol met tracks die zeker bij eerste beluistering lastig zijn te doorgronden en alle kanten op kunnen schieten. De plaat is soms heerlijk zweverig en bijna bezwerend, maar kan je ook op het verkeerde been zetten met tegendraadse klanken en bijpassende beats. Kaitlyn Aurelia Smith maakt ook op haar nieuwe plaat weer elektronische muziek van de toekomst, maar heeft ook een batterij antieke synthesizers verzameld die je af en toe mee terug neemt naar de psychedelische pioniers van de elektronische muziek. Makkelijk is het allemaal niet. The Kid kan makkelijk tegen de haren instrijken en zal voor velen een plaat zijn die vooral op de verkeerde golflengte zit of juist helemaal niet aankomt (zoals voorganger Ears bij mij). Het kan echter ook een plaat zijn die je meesleept naar een muzikaal universum dat totaal anders is dan dat op alle andere platen die deze week zijn verschenen. Voor mij valt The Kid in de laatste categorie. Direct bij eerste beluistering was ik onder de indruk van de schoonheid van de nieuwe plaat van Kaitlyn Aurelia Smith, werd ik betoverd door de zweverige en sprookjesachtige klanken en werd ik nieuwsgierig naar alle bijzondere details op The Kid. Zeker wanneer je de nieuwe plaat van Kaitlyn Aurelia Smith met de koptelefoon beluistert, hoor je hoe rijk en veelzijdig het geluid van de Amerikaanse muzikante is. Er gebeurt soms zoveel dat je overprikkeld zou kunnen raken, maar aan de andere kant heeft The Kid ook een zweverige en bijna rustgevende flow. Kaitlyn Aurelia Smith heeft een vat vol tegenstrijdigheden afgeleverd, maar uiteindelijk winnen voor mij de schoonheid en het avontuur. Het zorgt er voor dat The Kid iedere keer weer anders klinkt, maar ondertussen wint de plaat maar aan schoonheid en kracht. Het kleurt allemaal prachtig bij de herfstbeelden die van buiten tot me komen, maar Kaitlyn Aurelia Smith neemt je ook mee naar een sprookjeswereld waarin je niet uitgekeken raakt. Bijzonder fascinerende plaat. 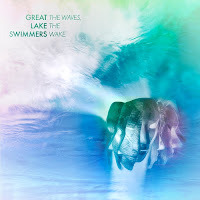 The Waves, The Wake starts as a chamber pop album. Slow, solemn, small, frail. 'The Talking Wind' instantly grabbed me, despite that frailness. It was instantly clear Great Lake Swimmers makes a statement here. With self-assurance in abundance the band makes a point: we do not need grandness to excess, we create our own with minimal effects. Something resembling a rhythm only comes in, still soft and modest, in the second song, 'In A Certain Light'. This song again is slow and soft. 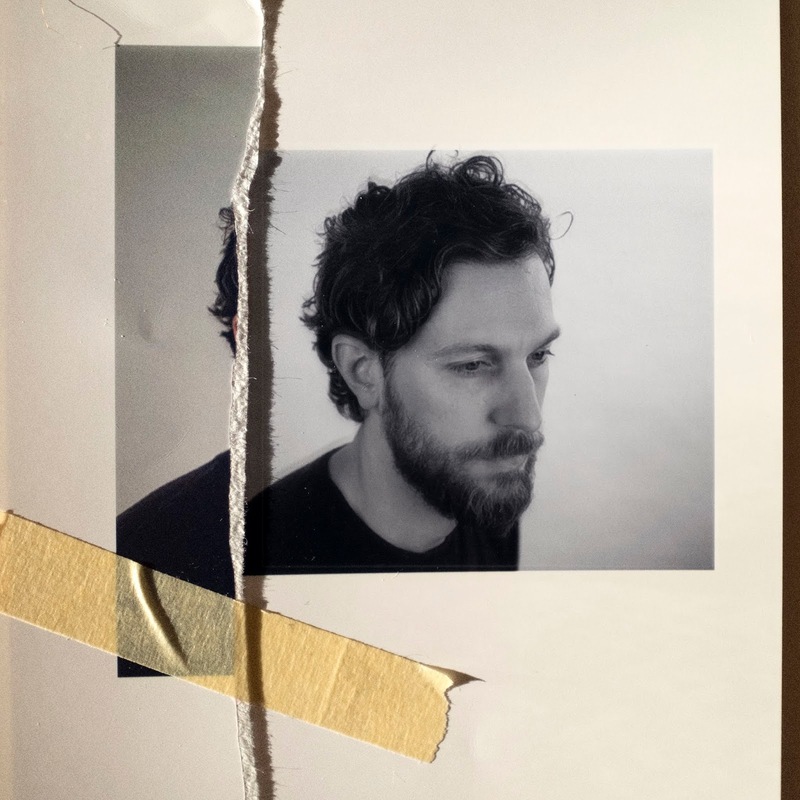 Canadians Great Lake Swimmers are around for 15 years in 2018 and have released 7 albums over that period. 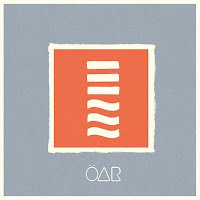 The Waves, The Wake is the third album finding its way to WoNoBlog after 'New Wild Everywhere in 2012' and 'A Forest Of Arms' in 2015. There is a commonality between all these albums: things do not take off between me and Great Lake Swimmers straight away. It always comes sort of slowly (and after a while I forget about the band, until I'm slowly, but in the end pleasantly surprised once again). With The Waves, The Wake things are not much different. The soft songs sort of passed me by at first. Yet, with each spin it became clear to me that Tony Dekker c.s. again were on to something when creating this piece of work. The Waves, The Wake is an album that has an inner intrinsic beauty. Take 'Falling Apart'. Again a song based on sparse notes and loads of atmosphere over which Dekker sings with his delicate high voice. All sorts of instruments, often associated with classical music and jazz are played to create something of enormous beauty. Where Great Lake Swimmers were always categorised as folk, in 2018 there's not much opportunity to do so. The band explores new routes by letting in strings and woodwinds, atmospheric playing and singing. Music befitting Kairos, the radio show on Concertzender, in short. 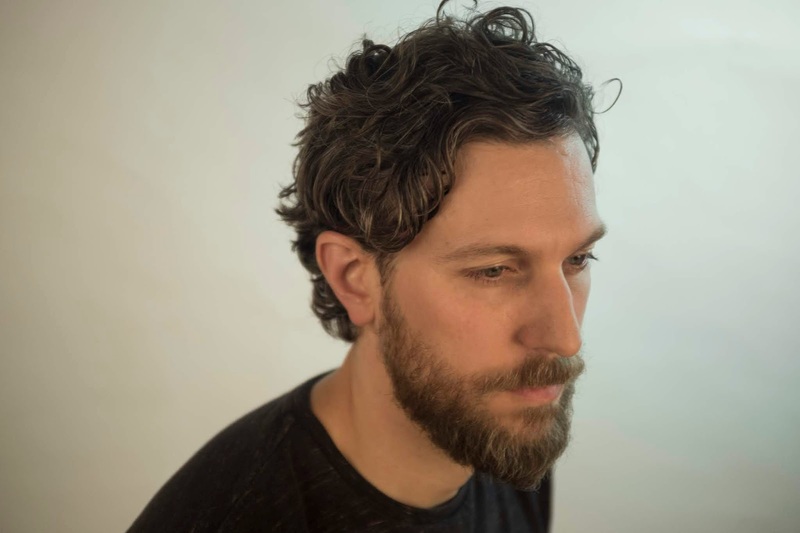 The music gets to a depth unheard of by Great Lake Swimmers' standards. The kind of music that does not allow for middle ground. Either your with the music, giving it your all or your out. Music to immerse oneself in. Totally, fully. What I remain with to conclude is the qualification I opened this review with. It is at these moments that the richness of The Waves, The Wake shines through. The finer details of the music reveal themselves, showing the true depths beneath those waves. Although this in some parts is a very bare album, it still allows for all these details. The percussion, deep piano notes, the arrangements, the atmosphere wrapped around the whole. If I have to compare, The Shins come to mind, but also acts like Low Roar and Novo Amor, where Great Lake Swimmers come out somewhere in the middle. Never rocking out, but also never so delicate to the point that music almost disappears from the music on offer. There's always enough to have a song and not exclusively atmospherics. 'Visions Of A Different World' is completely a cappella. Dekker sings over a background "choir", befitting the church the album was recorded in. The sound indeed is wide and broad. A short song, but certainly one with an effect on listeners. Yes, it is true. Come the 10th song I do get the impression that I have heard enough songs like 'Holding Nothing Back'. Great lake Swimmers are holding back a lot here. That problem is immediately solved. 'Mouth Of Flames' comes with an electric guitar, soft and smooth, true, it does change the mood of the album, once again and right in time. It is 'The Open Sea' however that reminds me most of the Great Lake Swimmers of old. There is a folk feel, that is belied by the piano playing and the atmospherics behind the song itself. It is arguably the song holding the most tension on The Waves, The Wake. The release comes in the chorus. For the first time on the album the band presents a full drum sound, even a full band joins in, ending the album on a grand note. 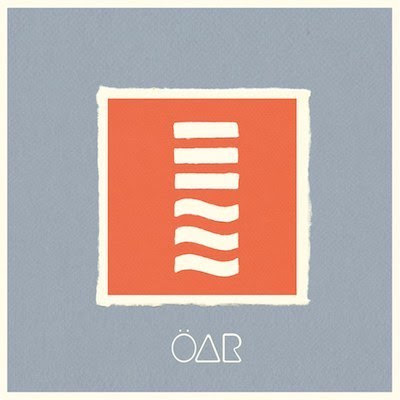 'The Open Sea' is an impressive end to an impressive album. Ik was er na de release van het briljante Teen Dream in 2010 eerlijk gezegd van overtuigd dat Beach House haar creatieve piek had bereikt. De plaat stond bovenaan mijn jaarlijstje over 2010 en scoort hoog gaat wanneer ik een lijst zou moeten maken voor het gehele nieuwe millennium. De platen die volgden waren inderdaad niet zo goed als het voorlopige meesterwerk van het Frans-Amerikaanse duo, maar zangeres Victoria Legrand en multi-instrumentalist Alex Scally lieten op de platen die volgden toch meer nieuwe dingen horen dan ik had verwacht en wisten nog steeds platen af te leveren die flink boven het maaiveld uit staken. Alles dat Beach House sinds haar debuut uit 2006 heeft bedacht komt samen op 7, dat ik na hooguit een handvol beluisteringen al de meest opwindende plaat van Beach House tot dusver durf te noemen. Al een aantal weken komt 7 uit de speakers en de steile groeicurve van de plaat vlakt nog steeds niet af. Alex Scally en Victoria Legrand kozen sinds Teen Dream voor een steeds wat gepolijster en ook wat wolliger geluid, maar laten nu de teugels vieren. Het geweldige Dark Spring waarmee de plaat opent intrigeert door opvallend drumwerk en door gitaarlijnen die zich zowel door de dreampop, de shoegaze als de postpunk laten beïnvloeden. Het zijn componenten die in veel tracks op 7 terugkeren. Het gitaarwerk op de zevende studioplaat van Beach House (de prima verzameling restmateriaal die vorig jaar verscheen niet meegeteld) is van grote schoonheid en kan zowel gruizig als dromerig klinken. Het is gitaarwerk dat wordt begeleid door incidenteel opvallend prominent drumwerk, door de atmosferische en benevelende elektronische klankentapijten die we kennen van de vorige platen van de band en natuurlijk door de even onderkoelde als verleidelijke vocalen van Victoria Legrand. Beach House koos op haar vorige platen vaak voor dromerige schoonheid, maar verrast op 7 met een geluid dat naast dromerige passages ook flink wat ruwe randjes bevat. Het geeft het benevelende geluid van het duo een enorme boost. 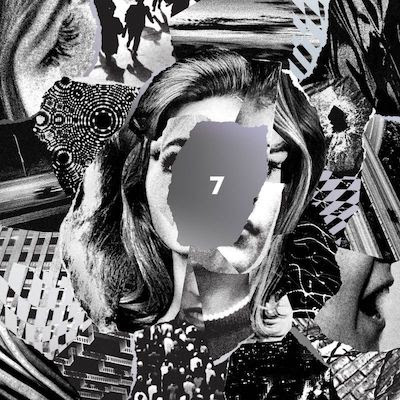 Zelden maakte Beach House muziek die zo spannend en vooral zo dynamisch was, waardoor 7 lieflijk kan strelen, maar je ook ruw vast kan grijpen. Op basis van het bovenstaande verwacht je misschien dat Victoria Legrand en Alex Scully een totaal andere plaat hebben gemaakt dan we van hen gewend zijn, maar dat is zeker niet het geval. 7 is in alles een typische Beach House plaat, maar het is wel een Beach House plaat die je 47 minuten lang in een bijzondere wurggreep houdt. Het zal deels de verdienste zijn van producer Peter Kember, beter bekend als Sonic Boom, die aan de wieg stond van de band Spacemen 3 en wat invloeden van zijn cultband heeft toegevoegd aan het geluid van Beach House. Het levert een plaat op die van de eerste tot de laatste noot intrigeert en betovert met songs die steeds andere invalshoeken kiezen en hierdoor steeds andere dimensies toevoegen aan het unieke Beach House geluid dat we inmiddels twaalf jaar kennen en koesteren en dat wij betreft uitgroeit boven alles dat de band gemaakt heeft. 7 is een vat vol tegenstrijdigheden waarin de bontste kleuren worden afgewisseld met de donkerste grijstinten, maar uiteindelijk schoonheid en avontuur zegevieren. Natuurlijk is het nog veel te vroeg om 7 van Beach House een meesterwerk te noemen, maar ik doe het toch. Meesterwerk! Punt. De Amerikaanse band American Aquarium bestaat inmiddels een jaar of twaalf en heeft in die twaalf jaar een bescheiden stapeltje platen gemaakt. Het zijn voor het grootste deel zeer aangename, maar niet heel bijzondere platen, die prima in het hokje Americana passen. Met het in 2015 verschenen Wolves leverde de band uit Raleigh, North Carolina, echter een ware voltreffer af en een jaar later was er ook nog eens de prima soloplaat van voorman B.J. Barham. 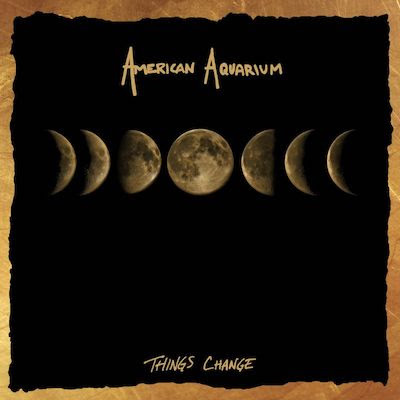 Met Things Change keert American Aquarium terug en hoewel de titel anders doet vermoeden is er op de nieuwe plaat van de Amerikaanse band gelukkig niet al teveel veranderd. Ook op haar nieuwe plaat maakt American Aquarium weer muziek die kan worden getypeerd als Americana, waarbij de band niet bang is om de grenzen van het genre op te zoeken. Het is Americana die op het eerste gehoor misschien niet heel opzienbarend of vernieuwend klinkt, maar sinds Wolves weet ik dat schijn bedriegt. 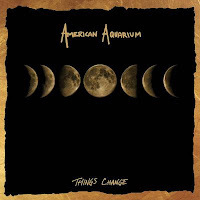 Ook op Things Change maakt American Aquarium weer muziek van een hoog niveau. De zowel door Americana als rock beïnvloede songs van de Amerikaanse band liggen buitengewoon lekker in het gehoor, maar steken ook knap in elkaar. Hetzelfde geldt voor de muziek op de plaat. Things Change overtuigt makkelijk met een toegankelijk rockgeluid, maar het is ook een rockgeluid vol bijzonder fraai gitaarwerk en met prachtige pedal steel bijdragen, die het geluid van American Aquarium steeds weer de rootsmuziek in slepen. American Aquarium flirt hiernaast wat intensiever met Southern Rock, waardoor ik dit keer wat raakvlakken hoor met de muziek van Drive-By Truckers; een vergelijking waar geen enkele band zich voor hoeft te schamen. Hetzelfde geldt voor de vergelijking met de platen van Jason Isbell, die een paar jaar geleden nog een plaat van de band produceerde. De productie is dit keer overgelaten aan John Fullbright, die een fraai evenwicht heeft gevonden tussen rock en roots. Met de songs, de instrumentatie en de productie op en van de plaat is helemaal niets mis en ook in vocaal opzicht klinkt het allemaal weer prima. B.J. Barham beschikt over een aangenaam stemgeluid, maar klinkt ook voldoende rauw en doorleefd en kruipt hier en daar tegen Springsteen (denk aan Nebraska) aan. Wolves schaarde ik uiteindelijk onder de betere platen van 2015 en ook Things Change blijkt een echte groeiplaat. Bij eerste beluistering klonk de plaat vooral aangenaam, maar ik hoor toch steeds meer songs die iets met me doen of muzikale uitstapjes of passages waar ik heel gelukkig van word. Zowel in Europa als in de Verenigde Staten is American Aquarium nog relatief onbekend, maar de band uit Raleigh, North Carolina, laat op haar nieuwe plaat wederom nadrukkelijk horen dat het met de besten mee kan. De spoeling in het genre is de laatste tijd relatief dun (of ik mis van alles), maar met de nieuwe van American Aquarium ligt er toch weer een topplaat in het genre.